At Park Dental Office in Silver Spring, our general dentists Dr. Stephen and Dr. Brian Park offer patients a comfortable, effective, and affordable dental experience. We are committed to your individual attention and strive to provide personalized oral health care tailored for your unique dental needs and goals. Our Silver Spring dentists work hard to create the ultimate stress-free and comfortable dental experience. Your health and comfort are our top priorities and we make every effort to help each patient understand their symptoms and treatment options in a relaxed office setting. We always work diligently to assist you in achieving a healthy and beautiful smile. At Park Dental Office, you will be offered a full range of general & cosmetic dental treatments to help you achieve your perfect smile, such as teeth whitening, crowns, preventive care or implants. We utilize the latest in dental technology and techniques in order to offer you the best preventive care and treatment available in Silver Spring. 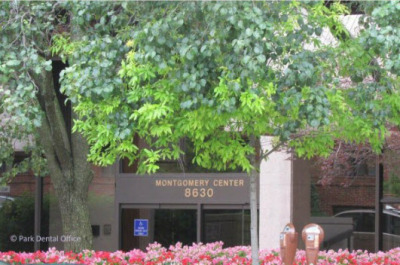 Dr. Stephen Park first opened his practice in Silver Spring, MD under the name Stephen Park, DDS in 1993. He moved locations in 1997 and changed the name to Park Dental Office after his son, Dr. Brian Park joined the practice. Together this father/son duo treats the Silver Spring community to the highest level of dental excellence using each other's breadth of knowledge and advanced training. Please browse through our website and be sure to call our Silver Spring dental practice if you have any questions or would like to schedule an appointment. Dr. Brian Park was very kind and considerate. He clearly explained what he was going to do and gave me clear instructions on recommendations to maintain strong oral hygiene. He was incredibly friendly and kind. The office staff is great, and I did not have to wait for my appointment at all. Finding a reliable Dentist who you can trust and who has your best interest in mind is always a difficult task. Dr. Park always takes care of me, walks me through the procedure and I come out better than I came in. As far as I’m concerned, this is a priceless commodity/service and I wouldn’t change my dentist for anything!! Highly recommended and I’ll never see another dentist again. The office was running perfectly on time, the whole staff was very kind and talked me through everything. I had an exam with x-rays and cleaning and was out the door in 30 minutes. Dr. Park is very gentle and kind. I am very impressed with the clean, bright office, smart scheduling and pleasant staff.